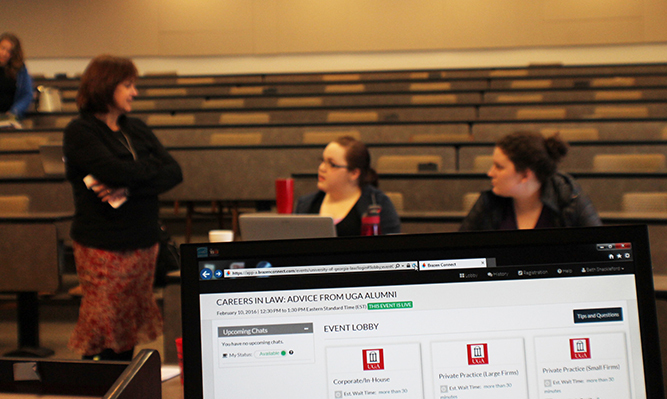 The Career Development office annually conducts 40+ workshops including programs about law practice specialties, employment settings, networking and core competency skills training. The office also maintains online and hard copy career and professional information resources. 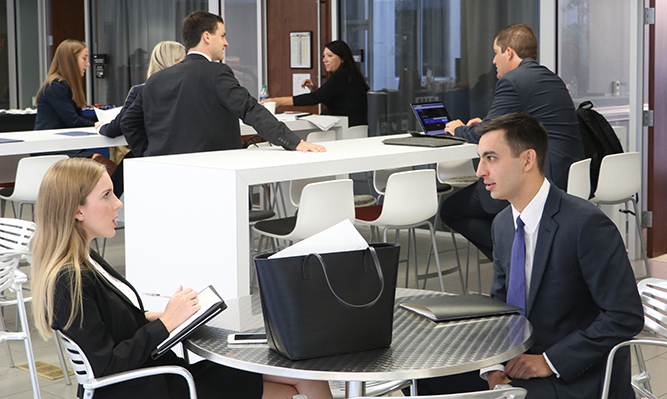 The Career Development office offers information and resources about various careers in law practice, including Government and Public Interest Practice, Private Law Firm Practice, Corporate Counsel, and Alternative Uses of the Law Degree. Learn more about practice specialties by exploring Law Practice Specialty information. Many services and resources are offered by the Career Development office including Mock Interviews, Business Etiquette, Network Building, Bar Exam Information, Preparing for Graduation, and Loan Repayment and Debt Management Information. Alumni and other attorneys share brief biographies and advice for students interested in their career paths. View profiles in practice. Bar exam registration procedures and dates vary across jurisdictions. Discounts may be given for those registering early, including 1L and 2L registrants, so check these sites for requirements on fitness and examination registration.